Yokogawa Australia have built advanced diagnostic functions into their EJX series of transmitters. The new functionality includes impulse line blockage detection and heat trace monitoring. Solids or frozen fluid can plug impulse lines during the measurement of flow or pressure in a process line. The Yokogawa EJX transmitter is now capable of estimating the impulse line condition using the DPharp pressure sensor and the newly developed pressure fluctuation detection function. The Yokogawa EJX transmitter registers an alarm on the local digital display or analogue alert when a preset blockage level is reached. With advanced diagnostics, the Yokogawa EJX transmitter can detect blockage types. 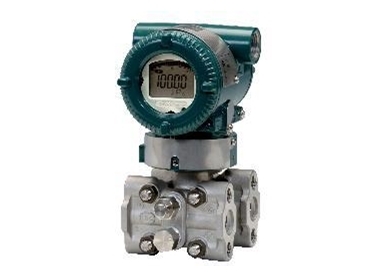 The Yokogawa EJX transmitter can alert line blockages on the high pressure side only, the low pressure side only, or on both high and low sides. With heat trace diagnostics, the Yokogawa EJX transmitter detects breakage of impulse line heat tracing. The cover flange temperature is calculated using built in temperature sensors, and an alarm is sent if there is a significant change in this temperature, an indication that there has been a breakage in heat tracing. The advanced diagnostic functions are now available with Hart and Foundation Fieldbus communication protocols.